Gardiz: Provincial authorities of Paktia province have claimed that seven civilians including women and children lost their lives in an air strike of American forces. According to reports, a Convoy of civilians targeted by American air forces attack late on Saturday in Zaza Aryoob district. Haji Afzel a resident of the mentioned district told BNA, American air forces targeted a car carrying two families. He further added, women and children were also among the victims of the event. 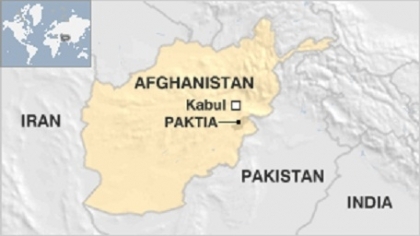 Local officials of Paktia did not comment in this regard, but a member of provincial council of the province confirmed the attack of American forces on civilians.